Following the recent signing of Tokushima Vortis defender Takayuki Komine, ambitious Tokai League side FC Gifu have announced that 36-year-old Shimizu S-Pulse veteran midfielder Yasuhiro Yoshida has agreed to join them for the 2006 push towards the JFL. Yoshida's career dates back to the very early days of the J-League, when he turned out first for Kashima Antlers before moving to S-Pulse, then on to Sanfrecce Hiroshima before returning for six years on the orange side of Shizuoka. Bringing in the region of 250 games' worth of pro experience to Gifu, he's sure to be a key member of their developing squad. Kansai League champions Banditonce Kobe - who narrowly missed out on a place in the JFL in December, thanks to their fourth place finish in the play-off final group - have released details of an ambitious series of signings that they hope will see them take a step further up the footballing ladder come the end of 2006. They have eight new players in the first team squad, several with JFL experience, but have defender Ryosuke Kanzaki joining from Kawasaki Frontale reserves. Elsewhere, experienced defender Kohei Yamamichi enjoyed several seasons of regular J2 appearances at Sagan Tosu, while Shohei Kamada moves to the club from Tokushima Vortis. 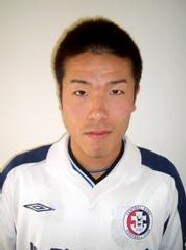 24-year-old striker Hideki Uchiyama, previously with Ome FC in the Kanto League, joins SC Tottori from Yokogawa Musashino... Yusaku Tanioku, a defender with plenty of J2 experience at Ventforet Kofu, has left Tokushima Vortis for Sagawa Kyubin Osaka... but the big news of the day is that Honda FC have a new mascot called Passaro. 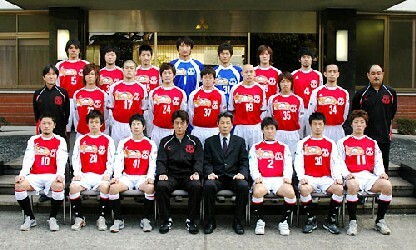 Predicted JFL strugglers Mitsubishi Mizushima have released details of their first team squad for 2006. It includes no fewer than ten new players, seven of whom are new high school or university graduates. Shinpei Watanabe, however, is a defensive midfielder with JFL experience at Denso, while midfielder Dai Ishikawa - who began his footballing career with Ehime FC Youth - joins from Tochigi SC. Previously with Hokushinetsu League team Japan Soccer College, striker Arata Izumi completes the line-up for the Red Adamant, having completed a spell with Albirex Niigata Singapore.